A complete translation, with introduction and notes, of the second of St.
Jerome's major Old Testament commentaries: the Prophet Ezekiel. In this massive volume Patristics Scholar Thomas P. Scheck offers a worthy sequel to his magisterialSt. 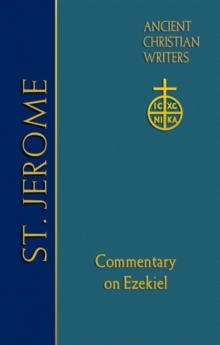 Jerome's Commentary on Isaiah (ACW 68) with the first translation into a modern language of St.
Jerome's Commentary on Ezekiel, his second longest Old Testament commentary. With these two volumes together, Paulist Press now offers Jerome's two longest commentaries, which are also considered his greatest works.